PCD Pharma Franchise in West Bengal- Medlock Healthcare is a popular name in the pharma industry. We are the fastest growing PCD medicine company in Kolkata. Our pharma company always ready to help our associates to set up the best business in their own domain. We have introduced the excellent business opportunity of PCD Pharma Franchise in West Bengal to provide someone a great exposure to establish his name in the field of pharma sector. Medlock Healthcare opens for serious and enthusiast medical professionals to join us as our franchise business partners. As one of the topmost PCD franchise company in India, Medlock Healthcare is making continuous efforts to provide flawless and best medicine. We are ISO 9001:2015 certified pharma company having our own GMP and WHO certified manufacturing unit. Medlock Healthcare has introduced PCD Pharma Franchise in West Bengal along with a wide medicine and healthcare segment of Tablets, Injections, Capsules, Dry Syrup, Powders, etc. Our shaped all medicines are DCGI approved and formulated the best quality of raw materials and natural chemical extracts. We Medlock Healthcare is popular in the pharma industry because of our best backup support and unique benefits which help our PCD pharma franchise associates to deepen their business roots in the marketplace. If you are looking for the best pharma business opportunity in the West Bengal, then you are in the right place. 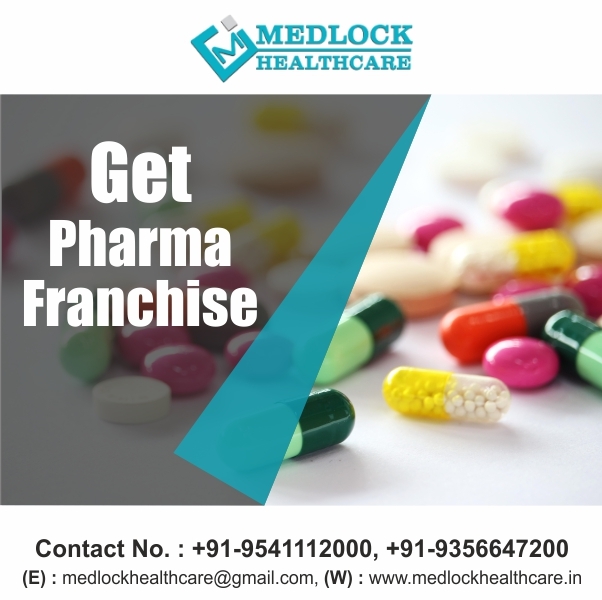 Feel free to contact us at +91-9541112000, 9356647200 or write to us on medlockhealthcare@gmail.com to know more regarding the pharma franchise business. Urban areas of Bengal, particularly Kolkata and Howrah, have the highest incidence of diabetes in the state, but disease public awareness remains low. There are mainly three districts — Kolkata, Howrah and Burdwan (8.7 %) — where the diabetes rate is higher than other areas due to mass urbanization coupled with stress-related issues. There are largely three districts— Kolkata, Howrah and Burdwan (8.7 %) — where the diabetes rate is higher than other areas due to mass population growth coupled with stress-related issues. Nearly 20 out of 100 adults over the age of 30 experienced fatal or non – fatal heart attacks, blood clots or other real serious cardiovascular diseases in urban West Bengal, the country’s largest cardiovascular disease visualization exercise has revealed. The demand for the various medications and healthcare products are increasing rapidly in all the districts of West Bengal. Therefore we Medlock Healthcare brings is providing the business opportunity of PCD Pharma Franchise in West Bengal every district. The demand and scope of pharma franchise business in West Bengal are quite high. We, Medlock Healthcare are West Bengal’s top-ranking PCD Pharma Franchise Company. Our company has worked hard to be at the top of the leading company. We’re sticking to our mission and vision right from the start, which is quite clear. Ethically and morally, we are moving towards our goal. All employees are well acquainted with our established goal of securing an entry-level market position. So if you’re looking for a reliable company that can help you in the most efficient way to set up your pharma franchise business in West Bengal. Join hands with Medlock Healthcare and gain from our end the best business opportunity. Together with several other beneficial support, we will offer you the best quality drug range. We make sure our partners are doing well in the pharmaceutical industry. For successful PCD Franchise in Kolkata, West Bengal. Low Invest Rate- Low investment is required for this particular business sector. In this particular business sector, you don’t need to spend the huge costs. Good Career Peak for Top PCD Franchise in Kolkata- As a part of the pharmaceutical business, you will still have sound knowledge of many other business sectors such as wholesalers, retailers, and others. So you can open a pharma franchise business in this medical sector. Low-Risk Business- Any business sector that is made up of low investment costs is also made up of low business risk. It does not, therefore, consist of the maximum risk so that you can invest easily in this particular business sector. What are you waiting for? Join hands with the top Pharmaceutical Company in West Bengal and start your business smoothly. Medlock Healthcare strives to provide the best healthcare products to the people of Kolkata and other parts of the country. Choose PCD Pharma Franchise in West Bengal. Our medicine formulations are highly safe and effective. We use only high graded ingredients for medicine production. This is the USP of our company. So you can rely on our product quality. We will never disappoint you for the quality.